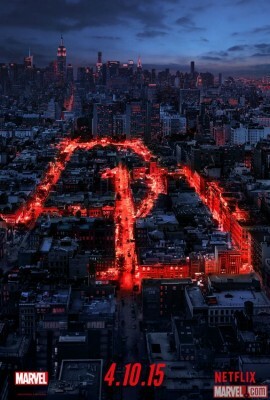 The new Netflix Original show, Daredevil, ups the ante for any current and future comic book to TV adaptations. This dark, gritty show makes the 13 episode first season a must watch. The show centers around new legal eagle, Matt Murdock, who loses his sight as a child during a moment of heroism. Murdock moonlights at night as Hell’s Kitchen’s resident vigilant, Daredevil. The pilot moves very quickly telling our hero’s back story smoothly for newcomers while allowing the main story arc for the season to take center stage with neither fighting for attention. The beauty of the latest comic to TV adaptations is how producers are seeing the value of grounding them in reality and Daredevil does this without pulling any punches. The fight sequences are some of the harshish filmed for a TV show, with bone crunching sounds making the the viewer feel each and every hit. And of course the hero doesn’t escape scott free, with Daredevil at times walking away from a fight more battered and bruised than his opponents. He is going to soon run out of excuses to his legal partner, Foggy Nelson, as to how he got that black eye or broken nose. Marvel Entertainment and Netflix has laid the ground work for all future comic to TV shows that follow. The series only makes you long to see what they have in story for Jessica Jones, The Defenders, Iron Fist & Luke Cage. Copyright © 2019 Dork Nation. Powered by Little Rabbit Studios.